Hybrino is a newly created Norwegian game developing company. Created by an experienced Norwegian businessman who previously worked in various industries, the company was able to draw attention of potential partners and investors already at its launch, thanks to which it became possible not to depend on market conditions as it often happens with small start-ups in this sphere. Thanks to its innovative approach, the Hybrino team was able to bring the company to a new level in just a few years, and to date, in many aspects of gambling, Hybrino are pioneers, continuing their activities in many ways simultaneously. The company not only develops unique games that were never seen before by gamblers, but also offers its partners convenient conditions for the promotion of their products, and successfully promotes its own games, providing players with various bonuses and promotional offers, among which there are the tickets that in the tournaments replace the classic free spins, and incredibly generous jackpots. Basically, almost all existing games of this developer are based on blackjack. The very process of the game is almost the same as you are used to, because the game process was taken as a basis in poker tournaments. Thanks to the analogue of the random number generator in gaming machines, its invention, the AIR technology, and the ability to use comments during the game, you get a real full experience of playing blackjack with several players in the tournament mode. And the only difference between the tournaments offered by Hybrino is convenience, which is comparable only with the individual game. Thus, combining all the best from the tournament and the individual game, the developers were able to create a perfect new format, which every year more and more players like to share. Usually in a package of games from this developer there are three kinds of games at once – tournaments, virtual tournaments and games with a jackpot. Due to the fact that each type has its own characteristics and everything is different, online casinos, ordering a comprehensive software package, receive games for each case, for different types of players, thus fully satisfying the demands and requirements of customers. Right after you’ve seen your first card you can make a bet, right away. Concerning the differences between three types of games that were mentioned before, let’s make it clear. In this type of game you compete against one, three or five players. The tournament takes place according to the type of poker tournament, where each player takes turns becoming a dealer. It helps to get real experience with real friends, or a real tournament, but since it’s about blackjack, you will be pleasantly surprised by new experiences. Believing the reviews, many players thank the developer for this new approach precisely because they are tired of constant identical poker tournaments. The blackjack tournament is a real innovation in the market. This type of game is even more innovative than the previous one. If in the first case you sit at the table with other players and have the opportunity to win, if you properly manage cards in blackjack, then during a virtual tournament you act on the principle of sports betting. You bet on one of the players, and sip your tea relaxed, watching the game as an outside observer. If your outcome turns out to be correct and the player you bet on will win – you get a certain amount of winnings. Thus, you spend time even more interesting than when betting on sports or playing slots, because in this case your victory depends not on the random number generator, but on how this or that player behaves. This type of game is characterized by the ability to break the jackpot and win the bog sum of money, which grows with each game. If you win several players in a row in several tournaments, you will be able to win a large amount of the jackpot. This type of game is popular among players of slots with a progressive jackpot, which is not surprising. As already mentioned, this developer was originally created by an individual who has a huge experience in the industry. 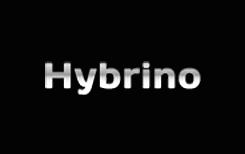 And the team of Hybrino itself is a unique example of how developers from different spheres are able to cooperate, providing the casino with unique products. Each of the types of games from Hybrino is available on all modern platforms, both on PCs and on mobile devices on Android, iOS, Blackberry and others. Thanks to the use of modern technologies of HTML5, the specialists manage to combine amazing graphics and new means of working with this kind of games, as well as nice design and sound effects. Each game is easily customizable for casino needs, you can change the language of the game’s content itself, the language of the shell, many design details, available bonuses and jackpot amounts. Due to its dissimilarity with other games, the software from Hybrino attracts the attention of even the biggest online casinos.